Effective, simple and easy to perform. A magician shows two clear glasses. Each glass contains pearls of different color. Tops of both glasses are joined just like a cocktail mixer to mix the pearls from both glasses. 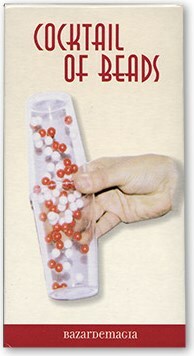 A single move and the magician succeeds in separating pearls of different colors.great trick for kid magic.